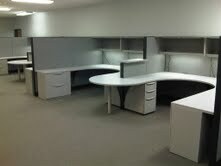 Your office furniture can affect your business in ways that might never be imagined. When people walk into your office – their first impression of your office is important. Studies have shown that your office can actually send messages to others about the way you conduct business. What does your current office furniture say about you?